View Google Contacts! Here in this page you’ll find how you can view your Google contacts. You’ll have to follow the described procedures below on how to view Google contacts. In this page, you’ll find the step-by-step process on how to view Google contact with images as well. If you are using Android phone remember all your phone contact will be automatically synchronized with your Google account. 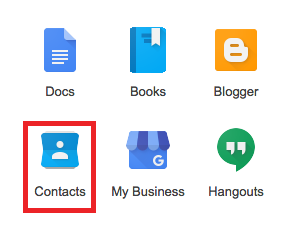 How to view Google Contacts direct? First of all, you’ll have login / sign in to your Google account. To do that, we recommend you open a new window and try the procedures on there. So that you can see this page at the same time and the steps. 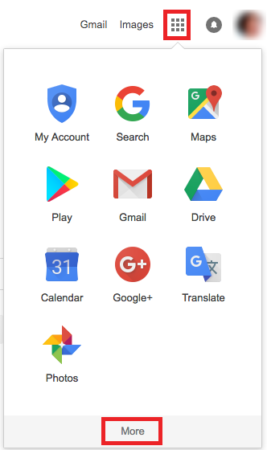 On the address bar of the new window type in google.com and press enter or return. Right after it loads, on the top right hand corner of the page you will see a blur rectangular link with ‘Sign in’ click on it. Enter your Google/Gmail email address to login in. Now, input the password and uncheck the ‘Stay signed in’ and click ‘Sign in’ to sign-in to your Google. Click the 9 (nine) small square shape icon just beside Gmail, Images. Click on ‘More’, as more services loads you’ll see Contacts icon. Click on it to view your Google contacts. 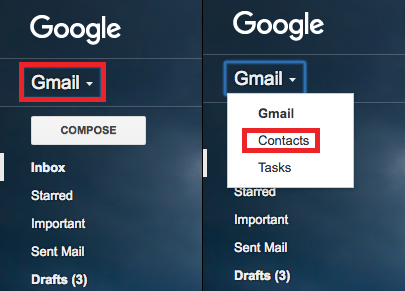 How to view Google contacts from your Gmail? You must first of all do the sign in to your Gmail account. On the address bar type-in Gmail.com and sign in to your Gmail account with password. On your Gmail mailbox page, right above the COMPOSE link you’ll see Gmail with a small downward pointed arrow. Check image for reference. Click on Contacts to view Google Contact in your account. Finally, the page load with all your Google Contacts.